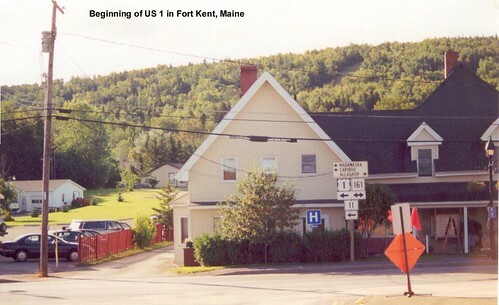 On both US 1 trips my journey began in Fort Kent. On my first trip I entered from Canada, and on the second trip to photograph the route I drove up ME-11 to reach the northern end of the road. This photo is on US 1 leaving town. The first shield assembly after passing through border control. 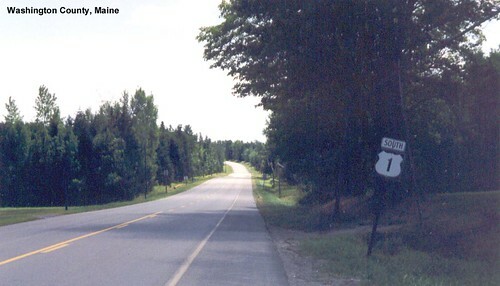 The junction with ME-11 in Fort Kent. 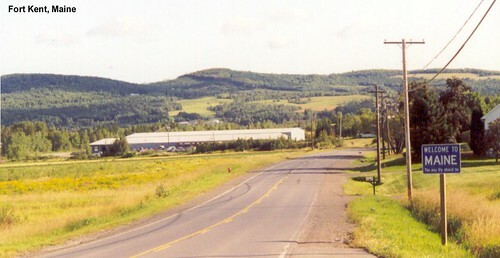 Leaving Fort Kent US 1 heads east following the Canadian border through northern Aroostook County. Here a Canadian town can be seen across the St. John River. 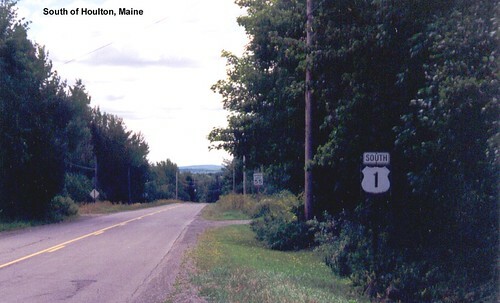 US 1 continues through Aroostook County as a two-lane road. 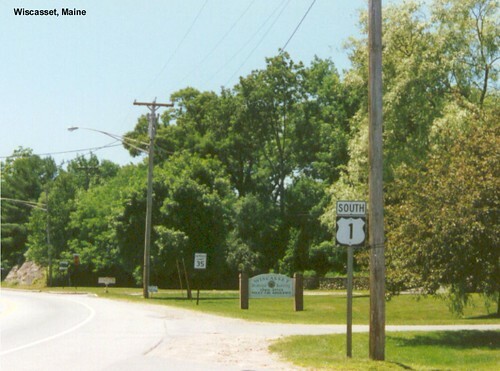 US 1 turns south and passes through Presque Isle on its way to Houlton. In Presque Isle we seen an older-style US 1 shield. 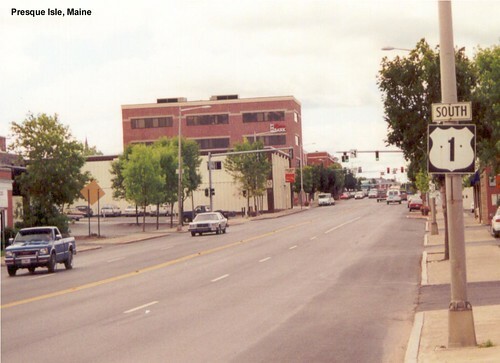 After passing through Houlton and the junction with US 2, US 1 continues its journey south along Maine's eastern border. 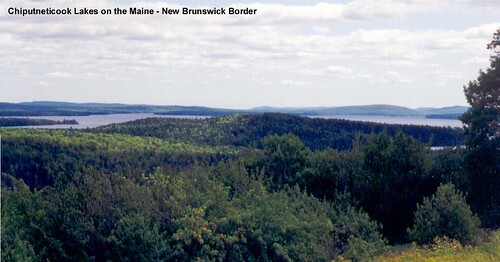 The Chiputneticook Lakes are visible to the east of US 1. 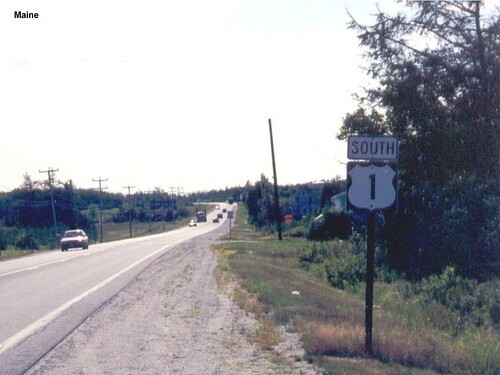 US 1 continues south through Washington County. At Calais we meet the coast, and the road is often marked as "Coastal" US 1. This is our last major connection to Canada, and if you look very carefully to the far left a Canadian flag is visible in the distance. US 1 is now marked as Coastal US 1. Soon we find ourselves heading more west than south, following Maine's coast through towns like Machias. 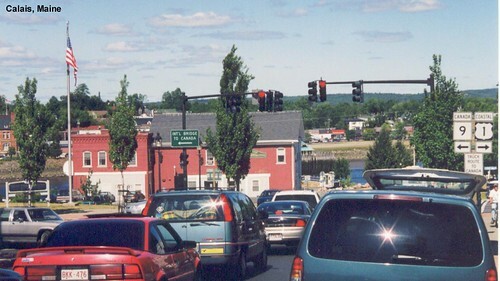 Traffic continues to increase on US 1 as we head southwest through Maine. 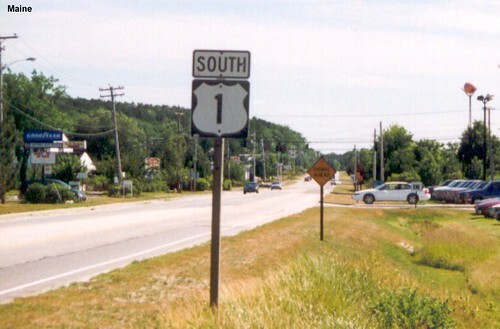 Southbound US 1 continues west along Maine's coast in Hancock County. The view of the Penobscot River from US 1. 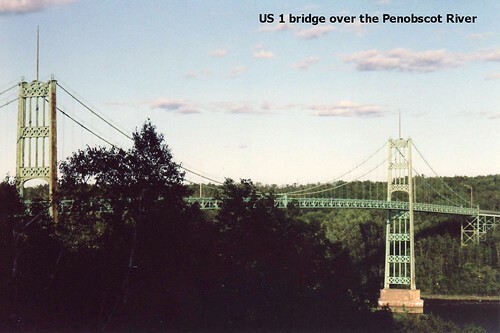 The US 1 bridge over the Penobscot River. After miles of rural two-lane highway, seeing this bridge for the first time was a real surprise. This bridge has since been replaced by a new cable-stayed bridge. 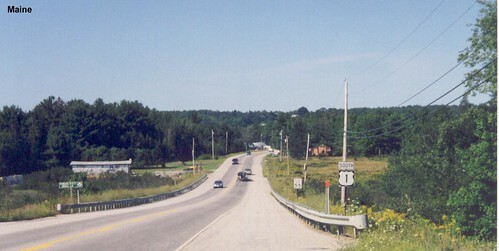 US 1 is multiplexed with ME-3 in Searsport. 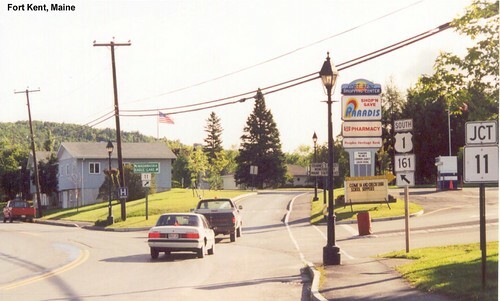 US 1 in Camden, Maine. Heading southwest on US 1 toward Wiscasset. 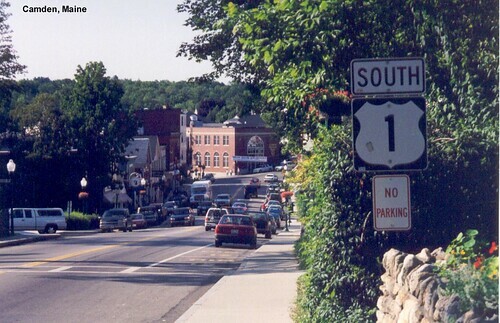 US 1 in Wiscasset, where I encountered summer northbound traffic backed up for miles. 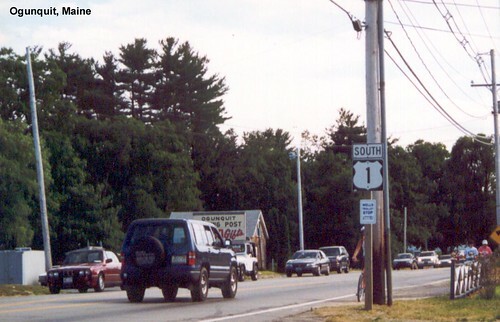 US 1 in Saco. By this time US 1 is paralleled by I-95 and so primarily serves local traffic. Continuing south along the coast of Maine through Ogunquit.